My name is Courtney Dill and I love baking ! I have been baking cakes for as long as I can remember. My very first cake I designed to celebrate my dad getting a job at Southwest Airlines. It was then and there that my love and passion for creating custom cakes was born. I have been baking ever since ! The cake that started it all ! In the beginning I made large custom cakes for friends and family birthday functions. I then left for college and pursued a degree in music and psychology. I met my husband Daniel the summer after I graduated and we married in November 2009. Throughout these years I never forgot my love for baking and continued to provide wedding and special occasion cakes for friends and family. 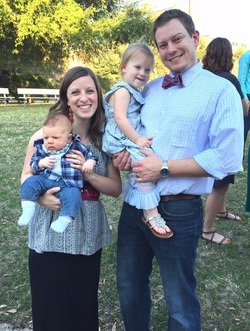 In August 2013 my daughter Amelia Grace was born and I was able to stay home with her. 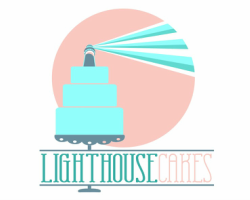 At this point I was able to dedicate time and attention to my cakes more than ever and my business Lighthouse Cakes was launched ! "Spreading the light and sweetness of Jesus to the world". Just as His Word is like a lighthouse shedding light on our circumstances and giving us hope I strive to spread light and love through cake! I am dedicated to providing uniquely designed cakes without compromising taste. I love to tailor my cakes to customer preference and can model them after invitations and photos. I use the highest quality ingredients and strive to pay attention to the small details that ensure each cake is special and one of a kind. Thank you for stopping by my site and I hope to meet you soon!